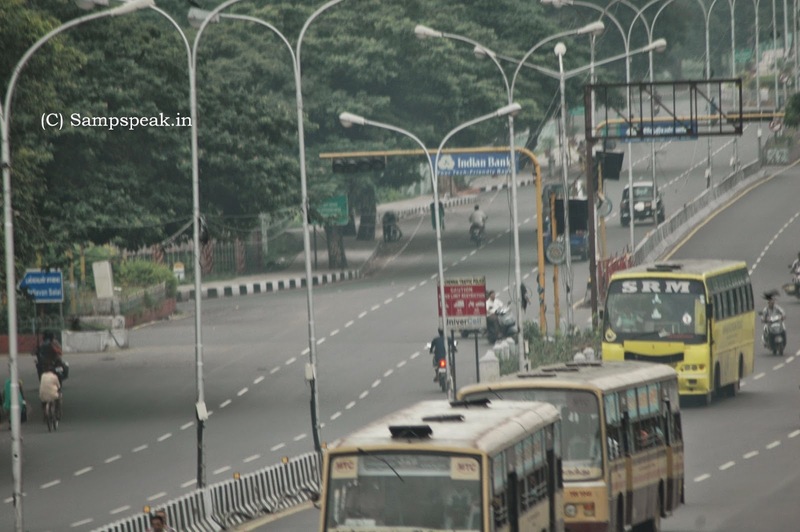 Anna Salai, formerly known as Mount Road is the most important - arterial road in Chennai, starting from the Cooum Creek, south of Fort St George and ending at the Kathipara Junction in Guindy. By some reports it is more than 400 years old taking its shape during the time of Charles Macartney who served as Governor of Madras. 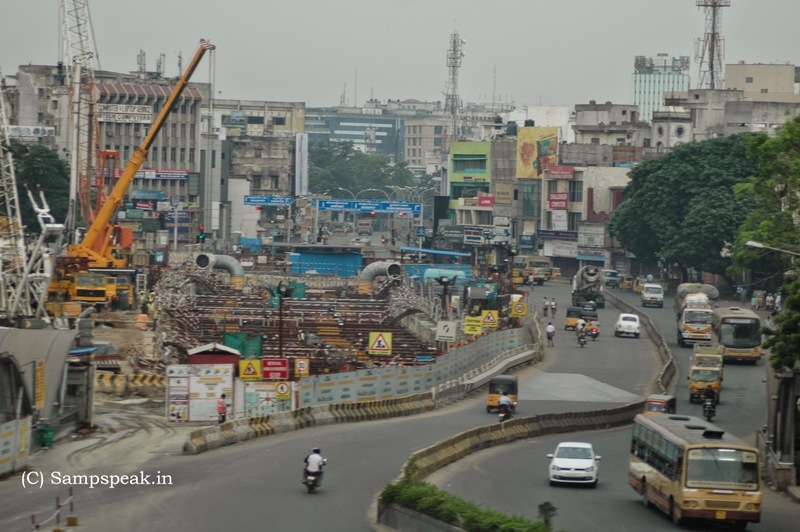 Here are couple of photos taken by me recently – see the Mount Road changes its streams now thanks to Chennai Metro work that is on – soon, you would be travelling under the famous Mount road aka Anna Salai. **There is an interesting anecdote that in Jan 1975, West Indies Team was passing through this (the road to Chepauk stadium is Wallajah road) and from Connemara hotel, Teams had to travel via Mount Road – Alvin Kalicharran, the classy left hander was unhappy over decision; reportedly why the man in statue is declaring him out ! ….. the Umpires were - B Satyaji Rao and MS Sivasankariah; the test those days had a rest day and being Pongal, the third day was the rest day then …. May not be true as Kali was caught in the slips by Vishwanath off Bedi in the 1st and ran himself out in the 2nd.